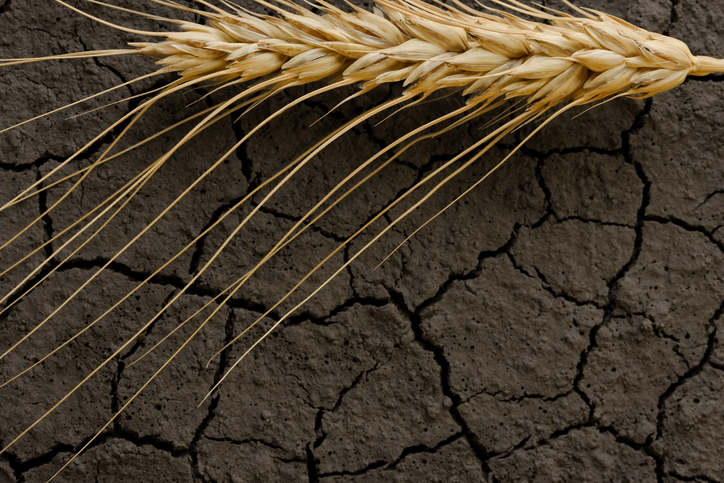 Grains commodity-related exchange traded funds are growing, with wheat leading the charge, as drought conditions damage crops across key growing regions. The Teucrium Wheat Fund (NYSEArca:WEAT) jumped 17.4% over the past month and gained 8.3% in the last week. Additionally, the diversified iPath Bloomberg Grains Subindex Total Return ETN (NYSEArca:JJG), which includes corn, soybeans and wheat, has increased 8.7% over the past month. The Teucrium Agricultural Fund (NYSEArca:TAGS), which takes an even exposure to sugar, wheat, corn and soybeans, was 11.4% higher for the month. Supporting the rally in the grains market, wheat prices have soared as a worsening drought in the northern U.S. Plains and weakening crop conditions in Canada add to supply concerns. The dry conditions in areas of the Dakotas and Montana is expected to linger and there is also concerns over unfavorable conditions for growing across the border in Canadian wheat provinces like Alberta and Saskatchewan. Furthermore, the drought is also attributed to several lightning-related fires in the region.